To many employees at GSA’s Bannister Federal Complex in Kansas City, Missouri, their workplace was more like "The Killing Field." Hundreds of people have either got terminally ill or died after working at the former nuclear weapons facility – the only facility in the United States that housed both nuclear manufacturing and federal agencies in the same building. The statistics of one particular group of employees was even more terrifying. Of the 40-member professional trades and craft staff of the Maintenance & Operations Division, about 80% of them have died. These were electricians, plumbers, carpenters, and air conditioning mechanics who worked in direct contact with cancer-causing toxins such as asbestos and beryllium. The professional craft personnel had never been told of what toxins they were exposed to, let alone provided proper protection. In 2010, an Inspector General report and multiple media reports exposed the lack of a viable health and safety program that GSA is and was required by law to maintain. GSA, however, insisted the employees were not exposed and repeatedly refused to provide proper personal protective equipment and medical surveillance as required by Occupational Safety and Health Administration (OSHA) regulations. “We were exposed to everything from asbestos, beryllium, uranium, plutonium, cadmium, lead, mercury, and a plethora of other toxins that is too extensive to list. At last count, there were over 900 toxins identified and the list continues to grow,” said whistleblower Jim Daniels, one of the 40 M&O employees, former regional vice president for AFGE GSA Council 236, and past president of AFGE Local 2754. Daniels has had several chronic illnesses related to acknowledged toxins after working there for 29 years. He and another whistleblower David Hendricks filed their complaint with the Office of Special Counsel (OSC) in early 2013. Hendricks died of a toxic related illness while an investigation was ongoing. The massive 310-acre site has been under the control of GSA and Department of Energy since the 1960's. There were about 4,000 government employees in the GSA-controlled portions of the complex and up to 75 children enrolled in an on-site child care facility that is listed as a superfund site – an area contaminated by hazardous waste and identified by the EPA as a candidate for cleanup. Unlike GSA employees, DOE employees were provided training and full health and safety protection. DOE also did a review of the health and safety conditions at the complex and found that the complex had experienced environmental incidents resulting in soil and groundwater contamination, some of which continue to exist. On the GSA side of the building many legacy contaminations existed for years. What are now federal offices were once an aircraft engine manufacturing plant as well as a federal warehouse that contained toxic materials. There were also many pathways for exposure from the DOE to the GSA side of the building. 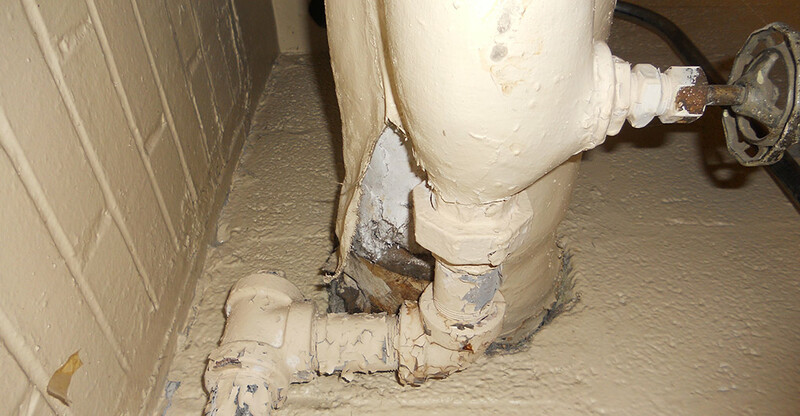 Besides working at the GSA-controlled side of the plant, M&O employees also worked on the DOE side of the facility to maintain the common utility systems to the building, thus adding to their exposures. After Daniels and Hendricks filed their complaint, the OSC asked GSA to do an investigation into their allegations. GSA hired a firm, Cloverleaf, to do the work. Cloverleaf’s investigation proved to be gravely flawed. The firm concluded that there was no evidence that GSA was remiss in their occupational and safety program, but most of its conclusions were derived from the fact that the firm could find no documentation regarding GSA’s health and safety programs as far back as the early 1980s to the present. Cloverleaf interviewed Daniels and two other surviving members of the M&O group but dismissed their answers as anecdotal and undocumented. (See attached OSC report) GSA/Cloverleaf ignored documentation provided by Daniels such as the 2010 IG report that found GSA had not maintained a viable occupational health and safety program, which would have included files/documentation on testing for the many toxic substances in the facility. Cloverleaf also failed to do testing as GSA wrote the Statement of Work to exclude it. The federal regulations required that GSA perform exit physicals on retiring employees, but only a few of those who wrote their congressional representatives were given these tests. Most were already deceased. All had been retired two or more years which made the testing obsolete as these tests were intended to establish a baseline for further health issues. Hendricks had pleural changes, consistent with exposure to hazardous materials and died in 2013 without ever having received an exit physical. In Daniels’ opinion, the GSA did not want the employees or public to ever have an opportunity to see the results. Another finding by Cloverleaf/GSA was that there had been no Federal Workers Compensation claims filed as result of toxic exposure. Daniels argued that people didn’t realize their illnesses were related to these chemicals as the related illnesses might not manifest for 10-30 years or beyond. Had they and their physicians been aware of the exposures they had suffered, their cancers and other toxic related illnesses could have been more readily identifiable, at early stages by the medical community. Besides GSA and DOE employees, there were possibly over 100,000 Marine Corps civilians, marines, and contractors at the facility who might have been exposed as well. The OSC report prominently features Daniels’ testimony and documentation. But GSA rejected OSC’s recommendation to do a morbidity and mortality study of M&O employees on the GSA side of the plant. Kansas City AFGE GSA Local 2754 Acting President, Rhonda Cella said other GSA employees working in the complex were exposed to the deadly chemicals as well. The actual number of people who either got sick or died was more than the reported 450, which is an old number and not taking into account all the contract employees, as well as marines and civilian personnel. Cella herself and her two children have major health issues. She was pregnant with them when she worked in the building. Her father had various health issues after having worked at the complex in an area that is known to be extremely toxic now. Cella suspected a cross contamination as she and her mother both have had cancer and her mother is now in the process of being diagnosed again with another form of cancer due to the possible cross contamination. Hendricks’s wife has had colon cancer. His granddaughter recently died from a rare brain cancer possibly caused by cross contamination from toxic materials brought home on his clothing. She was 29 years old and a registered nurse. She has left two small children who will grow up without a mother. GSA offices have since relocated, but Cella is calling for a congressional investigation into the matter. She and some of the remaining retired M&O trades and craft personnel have been talking to members of Congress to seek their support.